We couldn’t be more excited to announce that, thanks to Save the Bays and Waterkeepers Bahamas, recreational water quality information for the Bahamas is now available to the public. The Bahamas is the fifth country to join Swim Guide. And Waterkeepers Bahamas and Save the Bays are our first Swim Guide affiliate in the Bahamas. Thanks to their work, Swim Guide users have access to information about the quality of the water in the Bahamas. Their sampling program is critical providing the public with information the quality of the waters, which will allow them to take precautions to protect their health when water is contaminated. 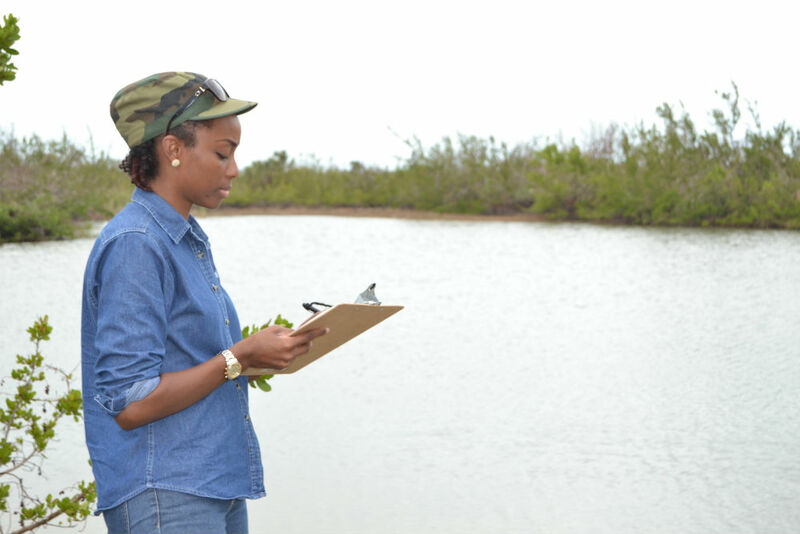 Waterkeepers Bahamas, along with Save The Bays, manages a water quality monitoring program on three islands in The Bahamas – Bimini, Grand Bahama and the western bays on New Providence. Currently 16 beach sites are monitored regularly on these islands. And their work doesn’t stop there. Save the Bays and Waterkeepers Bahamas’ work is multifaceted, with a goal to “preserve and protect the Bahamian environment through proactive policy change, education, legal action and advocacy.” Save the Bays and Waterkeepers Bahamas collaborate with multiple local and international partners on their projects. We are grateful for their unique contribution of regular and current water quality data and information, the first of its kind to come out of the Bahamas. Rashema T. Ingraham, Bimini Coastal Waterkeeper and Executive Director of Waterkeepers Bahamas. 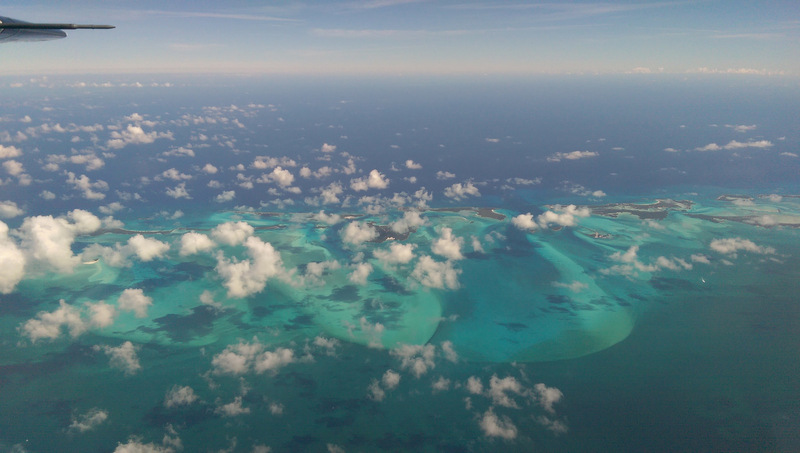 The Bahamas : swimmable, drinkable, fishable? 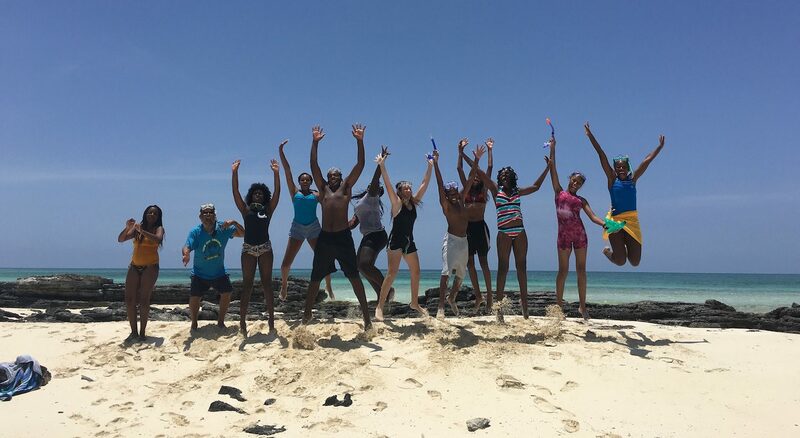 In 2015 Swim Guide visited the Bahamas with Save the Bays, and saw first hand the repercussions of the love affair with the Bahamas’ blue water and white sand beaches is having on the country’s fragile environment. The low lying islands, founded on fossil coral and limestone, are beat up around the edges from the burden of hosting so many people and the consequences are being felt where they hurt the most: the water. The population of the Bahamas is a little over 300,000. Yet the islands host between 5-6 million tourists a year, most of whom are coming from the U.S and Canada. Tourism accounts for more than 60% of the country’s GDP. The list of threats to the islands’ water is long: unregulated mega developments; dredging; construction of massive cruise ship terminals over critical habitats; contaminated runoff from golf courses, resorts and other developments; oil pollution from aged and overtaxed diesel power plants; untreated or partially treated sewage due to inadequate wastewater treatment facilities. The outcome? 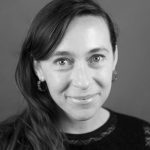 The contamination of the water and the loss of critically important habitats, including endangered coral reefs, mangrove nurseries, and the seafloor and seagrass beds, which is directly impacting the people and marine life the seas support. There is little available freshwater (most residents drink imported water, rainwater, or desalinated water) and precious ground water sources are also threatened from contamination and salination as a result of these environmental issues. Read more about water quality concerns in the Bahamas here.